The Soft-Lite Bainbridge window uses a slightly more narrow vinyl frame that is pretty typical for a more entry level window. It is, however, a quality "low end" window that is perhaps a small notch below the Soft-Lite Classic and Pro models. What's probably fair to say is that the Bainbridge window is a step up from most of the models found at home improvement stores. It also won't carry the rather high price tag of the Imperial LS or Soft-Lite Elements windows. The outside frame profile on the Bainbridge has a more rounded edge that gives it a different look than say the Soft-Lite Pro window, which uses a more traditional frame profile. There are subtle differences between the Bainbridge, Pro and Classic, but the sashes, locks and overall interior look and feel is very close. The Bainbridge is not going to be as readily available as the more popular Soft-Lite windows, including the Elements and Classic. Standard features include an extruded metal screen, Certa force balancing system, a cam action lock, fiberglass meeting rail reinforcement, a sloped sill, vent locks, and foam fills. Consumers can order the Barrington in an exterior white, brown, or beige. The same three color options are available on the interior as well. The Bainbridge model, similarly to the Imperial LS and Elements, can be ordered in a standard low-e, Ultra and Ultimate glass package. 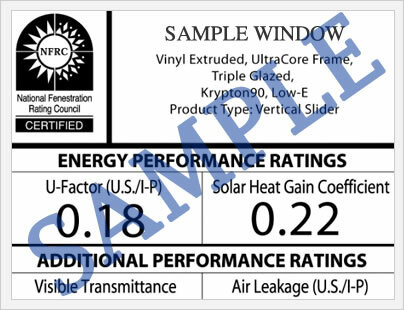 The Soft-Lite Bainbridge double hung window with the standard low-e glass package should deliver the following performance ratings; .29 U-factor, .28 SHGC, air infiltration of 0.06, .37 VT and a design pressure rating of 40. Upgrading to the Ultra 3mm glass package will better the performance of the Bainbrdige to the following: 0.22 U-factor, 0.26 SHGC, and 0.43 VT. These numbers are courtesy of the nfrc.org website, which lists perfornance data for hundreds of different window models. The Soft-Lite Bainbridge window warranty is a lifetime limited warranty he that applies to the mainframe, sash and other vinyl components. 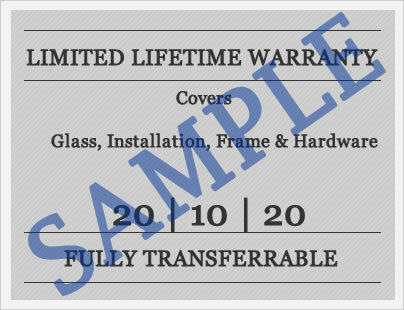 The warranty includes a ten year provision on exterior foil laminate's, internal miniblinds and on all PVC coatings. It does not include a lifetime glass breakage provision, which does come standard on all upgraded models, including the Soft-Lite Imperial LS model. The Soft-Lite Bainbridge warranty includes a one time transferable provision, however there must be a transfer fee paid to the company and Soft-Lite must be informed of the transfer in writing. There are a number of limitations and exclusions that will apply to this warranty so consumer should read the entire one page document prior to purchase. Do you have a Soft-Lite Bainbridge window review that we would like to share with the rest of the online community? If so please submit your reviews to our site editors and we will post them just to soon as we are able. Questions about the Bainbridge vinyl window from Soft-Lite? If so, ask your questions and our site editors will be glad to answer them as best as possible. They can also answer any questions you may have on additional replacement window brands, prices, or bids you may have received.